Guess our Canadian Guy wasn’t a winner. 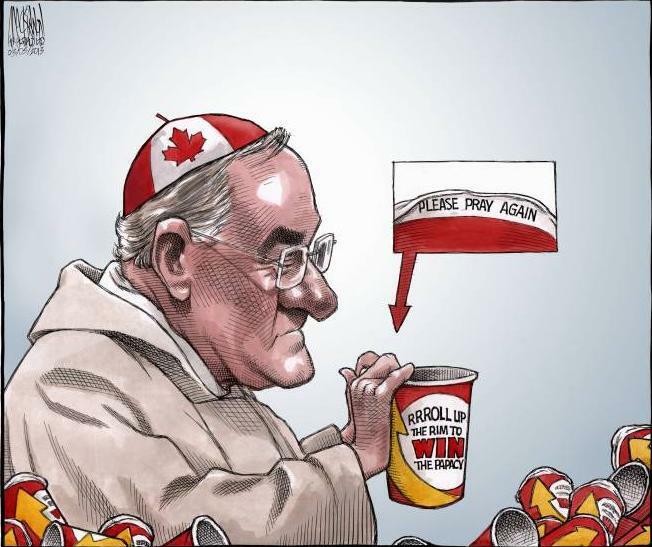 It was not difficult to get caught up in all the pomp and pageantry of watching the election of a new Pope yesterday, especially since one of the front-runners was a Canadian. Doesn’t really matter what world event we’re watching, be it a good ole hockey rivalry between Canada and Russia, or Canada and the U.S.A., we Canadians are cheering for our countrymen! This was the case with the new Pope. We didn’t have to be Catholic or even have any kind of faith to cheer on a fellow countryman. I’d be lying if I said I wasn’t a teeny weeny bit disappointed that our Canadian Cardinal from Quebec didn’t win but I couldn’t help but smile when Pope Francis waved to his followers and then addressed them informally. I was also impressed that he asked his followers to pray for him. As a Christian, I try to pray for the influential and political leaders of the world. According to the World Population Clock there are over 7 Billion Catholics in the world so other faiths should definitely be watching and praying for the mild-mannered new Pope because he wields a lot of spiritual influence over a lot of people now. I am not Catholic but I will be praying for Pope Francis; that he would find that saving knowledge of Jesus Christ and be led by the Holy Spirit in all he says and does as Pope. 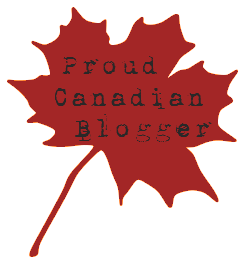 This entry was posted in Canadiana, Proverbs 16:9 - Journey Thoughts and tagged bgbg2, Canada, Cardinal Jorge Mario Bergoglio, politics, Pope Francis, Prayers, Religion, Rick Warren, Twitter. Bookmark the permalink. I completely agree as well. I will be praying here in Sydney, Australia for him.